Sleep is so important for good health. While we might spend over a third of our lives tucked up in bed, we often forget that sleeping on an aged, worn, broken or simply an unsuitable type of mattress, could be seriously impacting our overall well being. The support you need while sleeping can differ throughout various stages of your life and there may be times where a specialist mattress can dramatically improve your quality of living and assist with overcoming common back and body ache complaints. If you need to spend long periods of time in bed perhaps due to illness or recovery, it is recommended that you update your mattress to one which offers even support of your body, alleviating pressure by spreading your body weight and moulding to your movements. Our Adjustable Medi Therapy Gel Bed is an ideal solution to full body supported rest. One of the most common reasons for restless nights can be back ache and joint pain. If your mattress is not supporting you correctly, then any underlying issues are likely to feel worse or take longer to recover from. For back and joint complaints, a medium level of firmness mattress is recommended. Look at our Orthopaedic range which start from just £115 to find a mattress that will evenly support your spine and promote good posture, relieving your back pain. Depending on your health concern it might be worth investigating a heat reactive mattress like the Medi Therapy Cool Blu, memory foam mattress that helps regulate your body temperature. Finding the right mattress is not something to lose sleep over. At TJ Warehouse, we will be happy to advise you on a mattress that will suit your specific concern or rest requirements. We have mattresses to suit every budget and bedroom size and we are happy to help guide you through to purchase and home delivery. Rest assured you are in safe hands with the TJ Warehouse team. Remember that simply choosing the right mattress, can make a big difference to your health so invest in yourself, shop TJ Warehouse’s range of therapy mattresses now. A bedroom should be two things; comfortable and romantic. The comfort part is easy – a good bed, a few cosy blankets, a soft pillow and you’re sorted. But the romantic part can be a little more challenging, as the feeling of the room is as important as the décor. And feelings can be difficult to cultivate. So, if your bedroom is lacking that little bit of spark and passion, we have some great tips for transforming it into a much more romantic space. It’s thought that humans spend one third of their entire lives sleeping (which is why you should invest in a good quality bed from TJ Warehouse!). 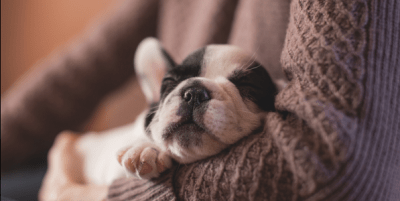 Despite the fact that sleeping is a huge part of everyone’s everyday life, there are a few surprising things you might not know about getting some shuteye…. If you have children who share a room, getting bunk beds is a great way to save space in your home and it can also be a much cheaper option, compared to investing in two separate beds. But with news stories often highlighting the dangers and injuries which can occur from bunk beds, many parents are wary of purchasing them. There are also certain style issues to consider, as bunk beds come in a variety of different types, different materials and have different features. So, if you’re going back and forth, wondering whether bunk beds are a good idea for your children, we have compiled a list of things to consider before you buy. 1. What kind of bunk bed do you need? Bunk beds fall under many different categories, but most commonly they are twin-over-twin, to sleep no more than two. If, however, you have a lot of sleepovers or an older child who needs more space, you might want to consider a triple-sleeper bunk bed with a twin over a double. If the bedroom is small, you might want a bunk bed with storage at the bottom and if you have a child who is older and may one day get their own room, you might want to choose one where the bottom bunk can be converted into a sofa or taken out and replaced with a desk and study area. 2. Do you have the space? Bunk beds do typically save space, but the frame can be larger than a normal twin bed, so be sure to measure the bedroom to determine whether a bunk bed will fit comfortably, with plenty of room for the children to get in and out. Whilst there are bunk bed injuries every year in the UK and Ireland, bunk beds are safe when purchased from a trusted, quality retailer and installed properly. Bunk beds from TJ Warehouse come with installation instructions and we always recommend that they are built and checked by two people. 4. How Old Are Your Children? 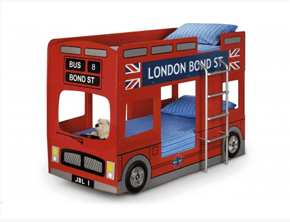 The Child Accident Prevention Trust recommends that children under six should not sleep in a top bunk. However, this will also depend on the child. If your child is frightened of heights, bunk beds are not a good idea. Likewise, if they are prone to get up during the night, or sleep walk, they could potentially injure themselves. When shopping for bunk beds, it’s always a great idea to bring your children with you. Let them test the beds and make sure they feel confident and able to climb up and down the ladder. You might find that a child who was once extremely excited by the notion of bunk beds, soon goes off the idea when they realise how high up they are. As well as falling from bunk beds, injuries can also arise when children get trapped or even wrapped in cords. 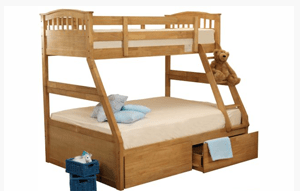 For that reason, you should check your bunk beds often to ensure that they remain sturdy and haven’t incurred any structural damage over time or from children playing. Also, keep the beds far away from any cords or wires. 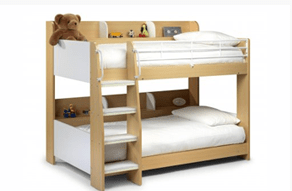 Bunk beds may be cost effective now, but you will also want to consider the longevity of your bunkbeds to ensure that they will be value for money over time. As your children get older, they may decide they no longer want to sleep in bunk beds (the novelty can ware off pretty quickly for children aged 10+). Or perhaps, they’ll simply get too big to fit in their bunk beds. So, if you’re going to purchase, it’s worth investing in a bunk bed that is likely to stand the test of time. Make sure your bunk beds are long enough for kids to grow into and be sure that there will be enough space between the bunks as they get taller to prevent them from hitting their heads. It’s estimated that around 80% of us will suffer from back pain at least once in our lives. If you’ve ever endured the agony of a bad back, you’ll know the right bed can make all the difference, not only to your sleep, but to your general wellbeing too. However, choosing the right bed to alleviate back pain can be somewhat of a minefield; as doctors, chiropractors, orthopaedic specialists and mattress manufacturers will all have varying recommendations. At TJ Warehouse Direct, we’re often asked for recommendations on the best beds for back pain. As we all know, not all back pain is created equal. We all feel pain in different areas of our back, at different intensities and at different times, so unfortunately there’s no one-size-fits-all mattress which solve the problem. That said, there are some measures you can take when choosing your bed or mattress to ensure you find something that works for you. We often hear that firm mattresses are best if you suffer from a bad back as they offer greater support. But that’s not a hard and fast rule. While it is important to sleep on a mattress that adequately supports your spine, if your bed feels as stiff as a board, your body will be tense. If you’re unable to sleep comfortably this will just exacerbate the problem. Hard mattresses can also create greater pressure on the parts of the body that come into contact with the bed and cause pain when you’re getting in and out of bed. So don’t just run straight for the hard mattresses because someone once told you they’re best. All back problems are unique to the sufferer, so you have to find a mattress and bed that strikes a perfect balance between support and comfort for you. Mattresses that err on the firmer side of neutral tend to be a top choice among those who experience back pain as they’re supportive but not soft enough to sag, which is often a main cause of pain. When choosing a mattress, it’s important to take your sleeping position into account. If you’re a side sleeper, you’ll need a mattress with enough softness to cushion your shoulders and hips. However, if you sleep on your stomach, which many back pain sufferers do, you’ll need a mattress which is firm enough to keep you afloat. If you sleep in a range of positions, you should consider a memory foam or gel mattress which is created to support a range of motions and contour to the body accordingly. Your own weight and height are critical factors when choosing a mattress. An 18 stone man who is 5 foot 7 will need a completely different mattress to an 18 stone man who is 6 foot 4. Although both men are the same weight, their height impacts how their weight is distributed when they are lying down and this will influence their choice. The 5 foot 7 man is likely to need a firm mattress, whereas the 6ft 2 man will likely need a medium spring tension, as is weight is more spread out across the bed. It’s always a good idea to go mattress and bed shopping with the person you’re sharing a bed with. Their height and weight will also influence the type of mattress you choose. If you are around three stone heavier than your partner, you may need two separate mattresses within the one cover that support your individual spinal needs. Lower back or lumbar pain is the most common type of back discomfort. For this kind of pain, a mattress that moulds and conforms to your body shape is best. Memory foam, gel or latex mattresses allow your muscles to relax, by giving your body the chance to rest at a natural angle with minimal pressure. As your hips and shoulders sink in, your midsection sits lightly on top – all of your body is supported, with no gaps. Don’t go bed shopping when you’re tired! You should never go food shopping on an empty stomach and similarly, you should never go bed shopping when you’re tired, otherwise every single bed will feel comfortable. If you’re visiting a bed store, give yourself plenty of time to try out each mattress beyond your first impressions. A bed that seems firm and stiff at first, can become incredibly comfortable after a few moments. 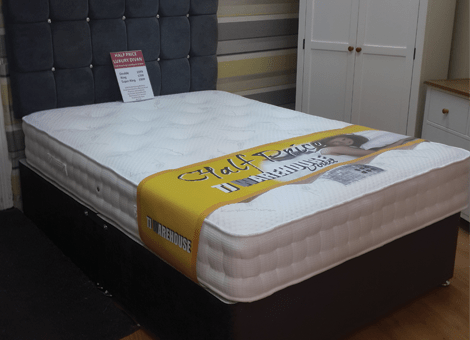 At TJ Warehouse we have a number of mattresses that mould from your body heat and will need a few moments to take full effect. If you suffer from back pain and need to find the perfect mattress or bed, you can give us a call on 028 93351306 or visit our store. Most of us spend around a third of our day in bed, if we get what is said to be the requisite eight hours of sleep, so it’s worth doing your homework before buying a new one. Decent beds are not particularly cheap, so you want to make sure that you get things right. These tips should give you a starting point for getting the best new bed for your money. If you want a bed that is the same size as your present one, measure it carefully and make a note. You may decide that you want a bigger bed than the one you already have; if that’s the case then you should measure your bedroom. This may seem like an obvious task, but you don’t want to end up buying something that’s too large for your space when the excitement of shopping kicks in! 2. Do You Want Extra Storage Space? Most of us like some extra storage space in the bedroom, especially if the room is not that large. Many beds now have storage space built in, either underneath as part of the base of the bed, or drawers built in at the sides. 3. 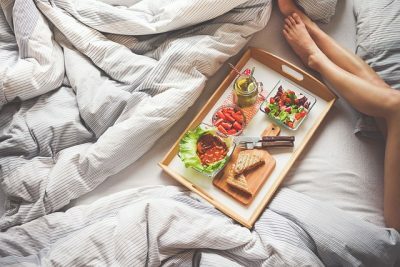 Do You Want a New Bed for Health Reasons? If you suffer from back problems then you may want to change your bed and look for something that has a firmer base and mattress. It’s a good to have a clear idea of your price range before you go shopping for a bed. Take a look online and study the ranges offered by different bed manufacturers to see what’s available in your price range. If you’re going on a shopping trip then take a look in some of the bed and furniture stores to get an idea of what is available, and what you might like. When you are buying something as important as a new bed, take a look online, but consider going out to a store to test a few out. You don’t buy a new bed every year so you want to make sure you get one that’s completely right for you. When you need a new mattress, you may need a whole new bed. Mattresses work better when they have a good support system underneath. If the base of your bed isn’t doing its job anymore, then you won’t feel the full benefit of a new mattress. Get a mattress protector when you replace your bed. Mattress protectors act as barriers against the dust mites that can cause allergies. Try asking friends and family members if they recommend a certain type of bed or mattress – for example, memory foam – or a specific manufacturer. We stock them all. Don’t make buying a new bed too much of a chore; think of the positive aspects and you’ll probably enjoy the choosing and purchasing process! Perhaps because they are something that everyone uses daily, many people rarely think about replacing their mattress. Of course, it can be a sizeable expense, but most people don’t bother replacing their mattress because it just doesn’t occur to them that it needs doing! However, a bad mattress could be hurting your back – and your overall health. Here are eight tell-tale signs that your mattress needs replacing. 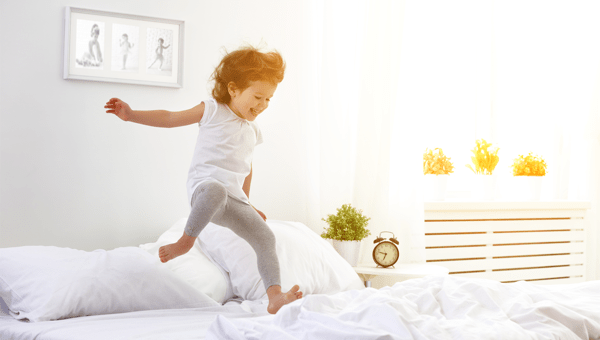 Waking up stiff – If you notice that you are waking up feeling stiff more often than not, it may be a sign that your mattress is too soft, and that it is time to replace it with a harder, firmer mattress. Tossing and Turning – If it seems like you can’t find a comfortable position at night it may be that your mattress simply isn’t right for you any more. This can be from a combination of factors including pressure points, the wrong level of firmness, or sagging. Feeling Drained in the Morning – The idea of sleep is to rejuvenate the body, so if you are waking up not feeling refreshed, it is possible your mattress has reduced the quality of your sleep. Sagging – Obvious sagging is a sign that your mattress may need replacing. You can prevent sagging by regularly flipping a newer mattress, so that it gets even wear. However, once sagging starts there is no way to reverse it. Creaks – If you hear creaks coming from the box springs every time you get on your mattress, then the mattress is not giving proper support. This means that soon it will start sagging, so it’s best to replace it before you start suffering the back pains associated with that. You Roll Towards Your Partner – If it seems that you are always waking up practically on top of your spouse, then you are probably dealing with a mattress that is sagging in the middle. Impressions in the Mattress – While some people may joke about leaving an impression in the mattress, you should never actually have one. This can only occur once sagging has gone too far. If you can see your impression, then you need a new mattress – today! With spring fast approaching people are getting ready for spring cleaning. March is national bed month giving you the perfect opportunity to give your current mattress it’s marching orders. It’s not uncommon for people to sleep on the same bed for more than seven years buts it’s recommended by the sleep council to change your bed every seven years. But how do know if you need a new bed, there is a bed mot you can take our bed MOT test, it will only take two minutes and will help provide you with valuable information about your current mattress. If you need a new bed you are at the right place. We provide the best prices in all off Northern Ireland when it comes to beds, mattress, bed frames, bunk beds and divans. You have to make sure you make the right choice when it comes to getting a new bed this national bed month. Consider these points.